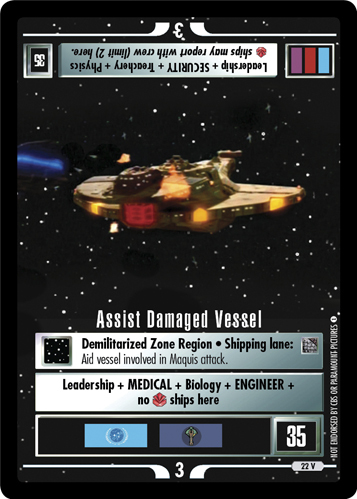 Demilitarized Zone Region • Shipping lane: Aid vessel involved in Maquis attack. Mission located in Alpha-Quadrant with span: 3 and points: 35. Special instructions: ships may report with crew (limit 2) here. Characteristics: Demilitarized Zone region, Asymmetric mission, Mission.